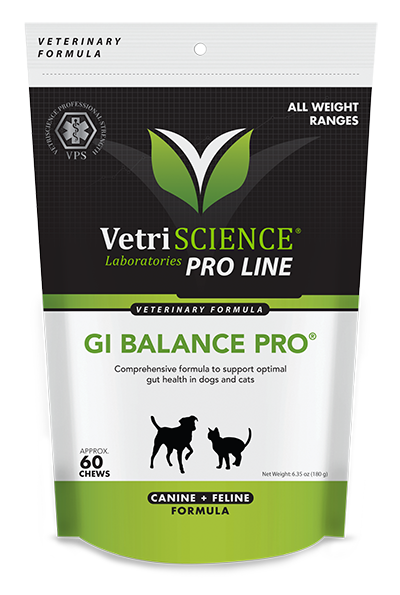 GI Balance Pro provides a patented probiotic combined with prebiotics for advanced digestive health and immune system support. 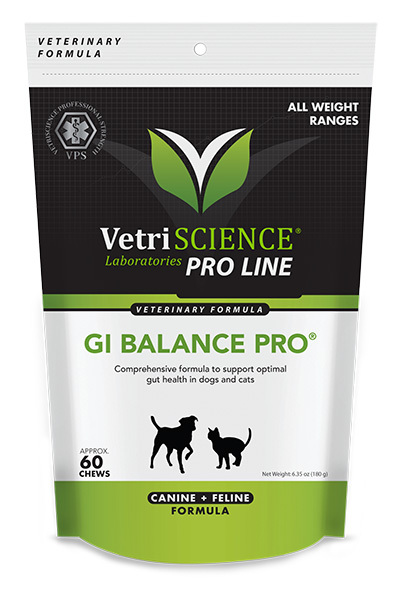 GI Balance Pro is designed to support digestive tract health, regularity, a healthy immune system, and microbial balance in times of stress or after antibiotic therapy. This chew features 1 billion CFU of a patented version of a specialized lactic acid bacterial strain Bacillus coagulans, called GanedenBC30®. It has been extensively studied for stability, survivability and safety. The non-soluble fiber prebiotic FOS supports the preparation of the gut for colonization and supports regularity. water, dried citrus pulp, sorbic acid (a preservative), propionic acid (a preservative), mixed tocopherols (a preservative), citric acid (a preservative), rosemary extract, silicon dioxide, vegetable oil.